Cockroaches are gross, can spread disease, and can be difficult to get rid of. Make sure that you follow these tips to get rid of these bugs. Nobody wants to have cockroaches in their home, but if you think that you have an infestation, then you will want to move quickly to get rid of these pests. Not only are cockroaches fast and sneaky, but they can spread disease and are very prolific, so you need to make sure that you do everything in your power to kill these pests right away. Roach bait is probably the most common way for homeowners to treat their homes when they have a cockroach infestation. You can use this bait anywhere that you have seen these pests, as long as you keep it out of reach of pets and children. 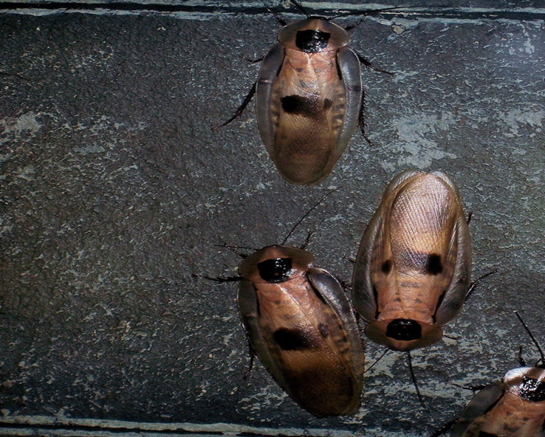 It contains a very powerful poison, but since it is so slow-acting, roaches will be able to carry it to their nest to spread it to other roaches before they die. If you do decide to use this option, you need to make sure to regularly change out the bait and make sure that there is enough to treat all of your cockroaches. If your cockroach infestation is really bad, then you may need to use a bug bomb to get rid of them. It’s important that you only use this product when they are fully entrenched in your home and nothing else is getting rid of them, as it is difficult to control the bomb from affecting all areas of your home. Apartment dwellers often can’t use this option as it will affect their neighbours. The absolute best way to deal with a cockroach infestation is to call a professional for help. They will be able to use chemicals and products that won’t put you or your family in any danger, and they can easily determine the extent of your infestation. When you want to work with a company that excels in dealing with cockroach infestations and pest and rodent control, then you will want to visit Pest Free USA for more information. While it is possible to handle a cockroach infestation on your own, it can be dangerous, especially when you have children or pets in the house. The absolute best way to take care of this problem is to hire a professional who can determine the extent of the infestation and provide you with a customised treatment plan. This will allow you to easily get rid of these pests and prevent them from returning.